There’s no white Christmas here in Australia (and Christmas is forecast to be a scorcher in Perth this year). Instead, as I showed yesterday, I created a Winter Wonderland inside for my kids. I crocheted a chain stitch “ladder” to hang the snowflakes from so I would have lots of loops to attach my decorations and they’d stay in position. I also liked the flexibility to move things around until I was happy with how they looked. (I might also reuse it for other decorating fun.) If you don’t want to crochet, you could just use string/yarn and tie on the decorations. It’s hanging up in the passage outside our family bathroom and the kids love sitting under it, watching the snowflakes. The snowflakes are out of their reach though – I don’t trust a 2yo and 3yo not to pull the whole thing down. And just secretly, I can’t resist head-butting a snowflake every time I walk past (hmmm, I wonder what that says about me!). Notes: I used DK/8 Ply yarn from my stash and a 5.5mm crochet hook. This gave nice-sized loops, but the exact hook size and yarn weight doesn’t really matter – use what you have! 1. Attach 2 decorating hooks each on the two walls of your passage, approximately opposite each other, below ceiling level. I just eyeballed it – it doesn’t need to be precise. 2. Measure the width of your passage and the distance between the hooks. Mine ended up being a square, 85cm x 85cm (34” x 34”). 3. Crochet two chains (using the basic chain stitch) with length a centimetre or two longer than the width of your passage. I didn’t count stitches, but just measured as I went. It’s better to be slightly longer than the width of your passage so there is no tension on the hooks (that could pull them off the wall). 4. Measure a quarter of the way along one of your chains. Join your yarn at this point and crochet a chain a centimetre or two longer than the distance between your two sets of hooks. Attach to a quarter of the way along your second chain. 6. 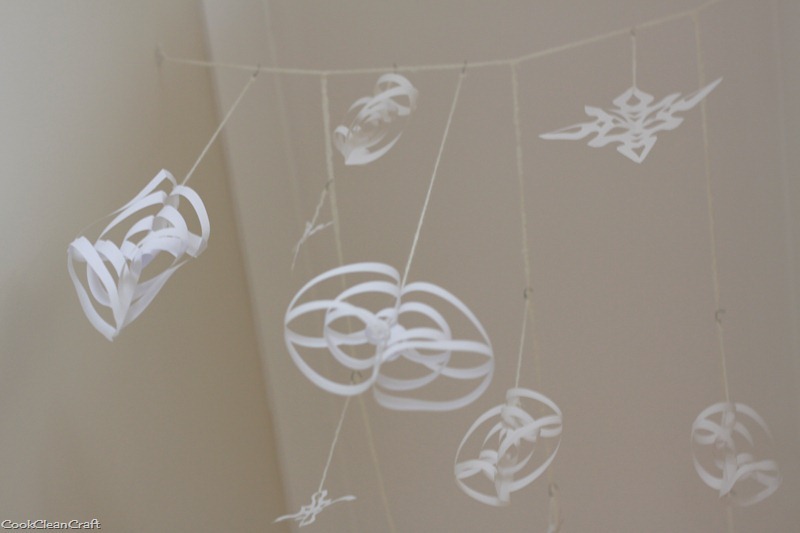 Make your snowflake decorations – I made icicles using the first part of this tutorial and snowflakes the old-school way (see here for a refresher!). 7. Put a knot in the end of a piece of wool (using random lengths for the different decorations). Thread the wool through the top of a decoration and make a loop in the other end. 8. Hang the wool “ladder” on the hooks on your wall. 9. Hang the icicles on the ladder in random locations using Christmas decoration hooks or paperclips. 10. Go tell the kids it’s snowing! See more of my Christmas decorating ideas here. Are you going to have a white Christmas? LOVE your wintry scene for down under. It’s beautiful! This is such an awesome idea. 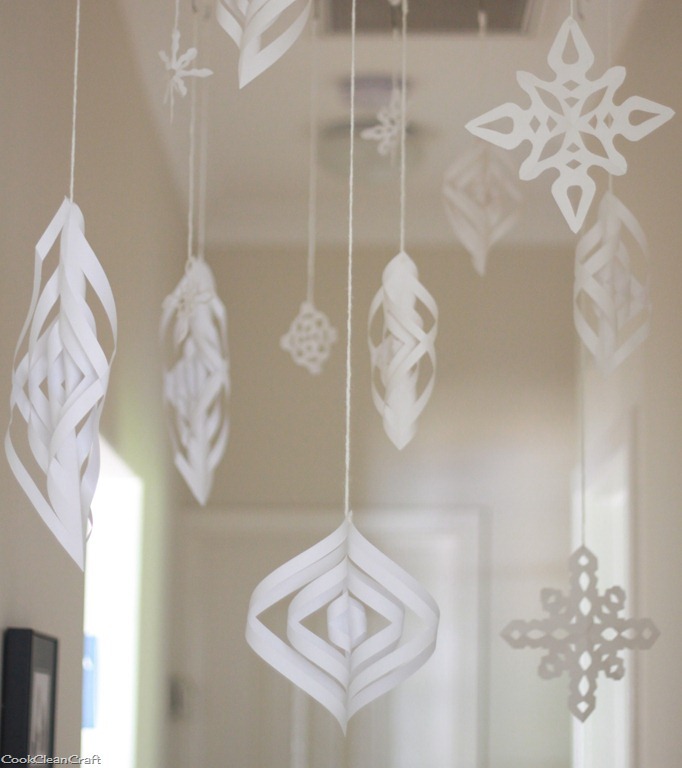 I had purchased some shiny snowflakes to hang from the ceiling but was afraid to pop thumbtacks all over the place. I retired in June but I used to decorate the office like crazy and we had those ceiling tiles that feel like styrofoam so it didn’t matter if I stuck pins in them! At home I’m a lot more careful . . . LOL!!! Well thank you for this great display idea. 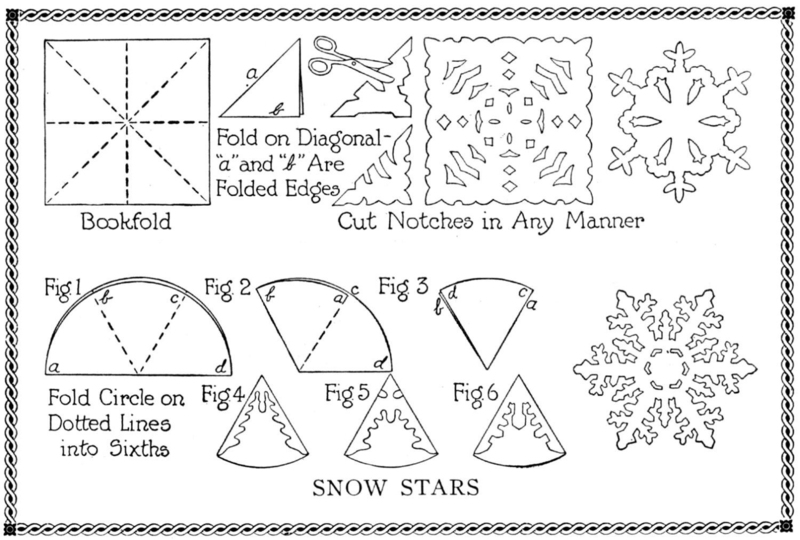 Now I’ve got to figure out your beautiful “snowflakes”. Wish it was going to be hot here in the Washington, D.C. area for Christmas. I don’t care for the cold AT ALL !! !